What to Do With Rocks in the Yard? Rocks are common in the yards of many homeowners, but you don't have to consider them a blight or an inconvenience. Instead, use the rocks in many different ways to decorate or accent your yard. Regardless of their size, they will add character to your yard. If you gather up all the rocks in your yard, use them to build an attractive edging along your driveway, walkway or even your garden. These rocks should be at least the size of your fist, and as they'll vary in size and shape, position them to create a natural look. Many people spend money on flagstones and other edging decor; with the rocks from your yard, you can create a natural-looking divider between two areas of your property. The term "rock garden" doesn't mean a garden full of rocks, but adding a few interestingly shaped rocks to an herb or flower garden can give the garden structure and visual interest. 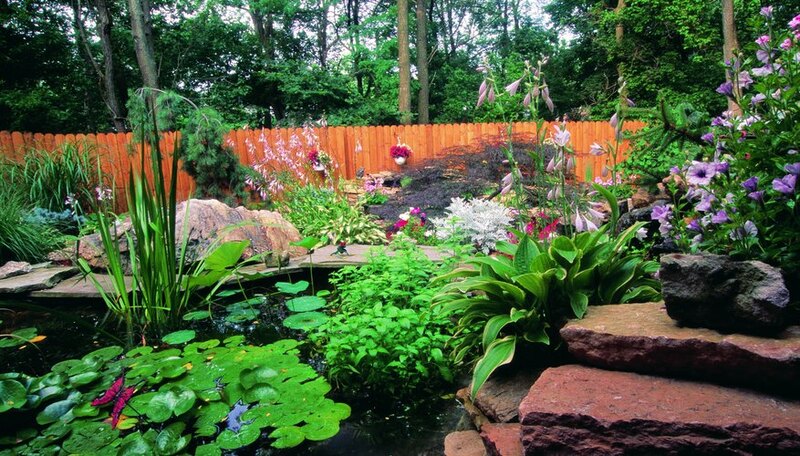 Rocks make an effective, natural barrier in a garden, too. If you have one large garden that contains both herbs and flowers, use rocks to separate the two areas. If you have a large garden, sink flat rocks into the garden to create a natural walkway you can use to weed the garden and harvest your crops. It's not difficult to build a small rock wall, whether it runs along the side of your property, near a structure as an accent or behind a garden. Just as you may have done as a child, use the flattest rocks to build a foundation for the wall, then pile other rocks up as steadily as possible. If you wish to create a permanent structure, mix up some mortar and mortar the rocks into place. If you enjoy looking at a simple backyard design, a Zen garden may be preferable to one full of flowers or other plants. Zen gardens incorporate rocks and sand to create a tranquil atmosphere; this is ideal if you practice yoga or meditation in your yard. Line an area with large rocks and fill the area with sand in the color of your preference. Place unique or beautifully shaped rocks throughout the sand, and add statues or figures such as the Buddha.